Lone Pine was an action that featured one of the most famous assaults of the Gallipoli campaign. 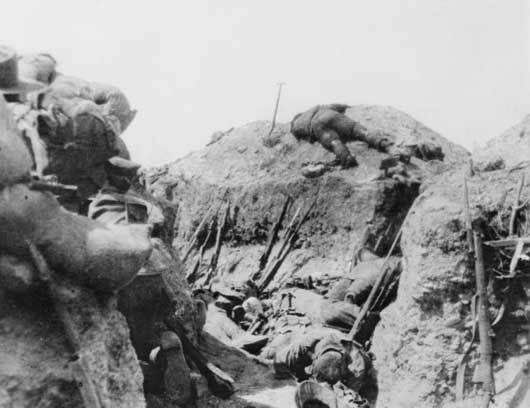 The attack was planned as a diversion for the Australian and New Zealand units that were to breakout from the Anzac perimeter by capturing the heights of Chunuk Bair and Hill 971. At 5.30 pm on 6 August 1915, the Australian artillery barrage lifted and from concealed trenches in no man’s land the 1st Australian Brigade charged towards the Turkish trenches. The troops paused on reaching the Turkish trenches, finding that many were covered by timber roofs. Some fired, bombed and bayoneted from above, some found their way inside and others ran on past to the open communications and support trenches behind. Others advanced as far as "the Cup" which was where Turkish support units were located and from where the Turks counter-attacked. By nightfall, most of the enemy front line was in Australian hands and outposts had been established in former Turkish communication trenches. The Australian Engineers dug a safe passage across no man’s land so that reinforcements could enter the captured positions without being exposed to Turkish fire. 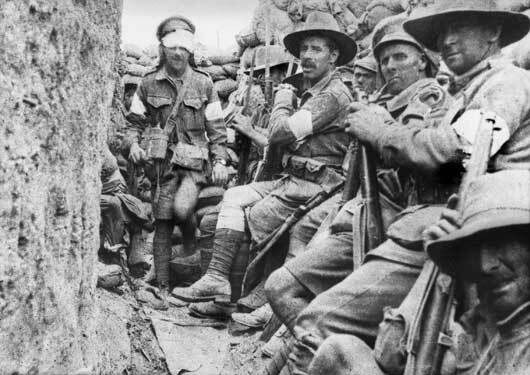 Having captured the Turkish trenches, the Australians now tried to hold what they had taken while the Turks desperately and determinedly tried to throw the Australians out. From nightfall on 6 August until the night of 9 August a fierce battle ensued underground in the complex maze of Turkish tunnels. The Australians succeeded in drawing the whole of the immediate Turkish reserve. Six Australian battalions suffered nearly 2,300 killed and wounded at Lone Pine. Seven Australians were awarded the Victoria Cross, the highest number ever awarded to an Australian division for one action. Lone Pine Cemetery is the location of the Memorial to the Missing in the Anzac area of Gallipoli and is situated on the ground captured by the Australians during the battle. It commemorates 4,224 Australians who have no known grave. There are 652 Australians buried at Lone Pine cemetery. 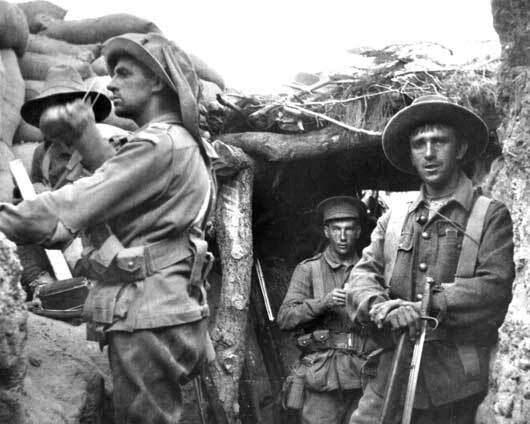 1st Battalion troops waiting near Jacob's Trench for relief by the 7th Battalion (AWM A01005). 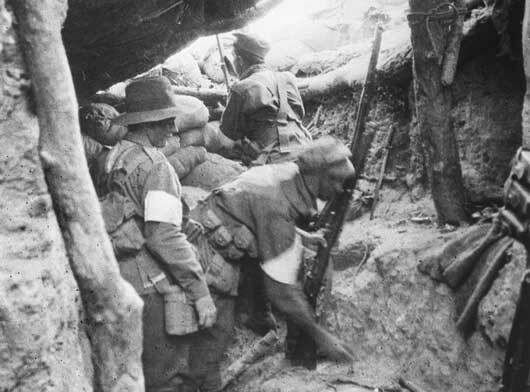 Australian troops in the Turkish Lone Pine trenches, captured by the AIF 1st Brigade under Brigadier-General Walker (AWM A02022). 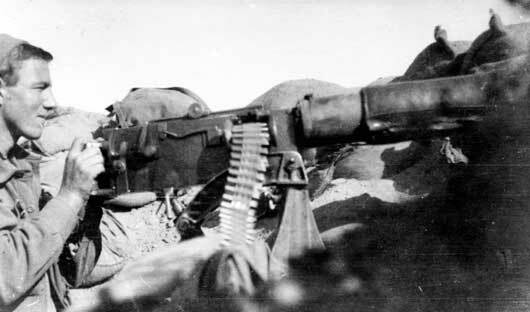 An unidentified machine gunner of D Company, 10th Battalion at his post near the Pimple at Anzac, covering Lone Pine with his field of fire (AWM A02150). Bodies of Australian soldiers in Southern Trench at Lone Pine (AWM A04029). Three unidentified 7th Battalion men standing at a bomb stop at the old Turkish firing line in Lone Pine (AWM C01929). 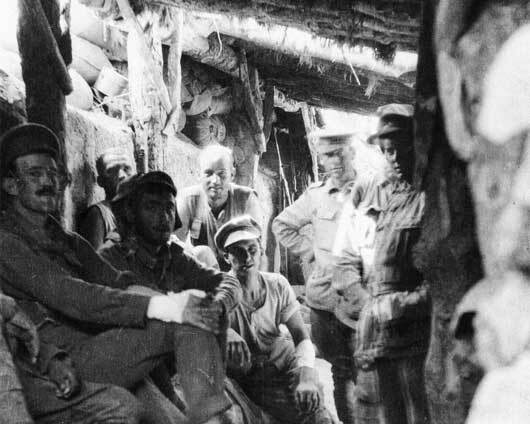 Australian troops relaxing inside a captured Turkish trench at Lone Pine (AWM G01126). 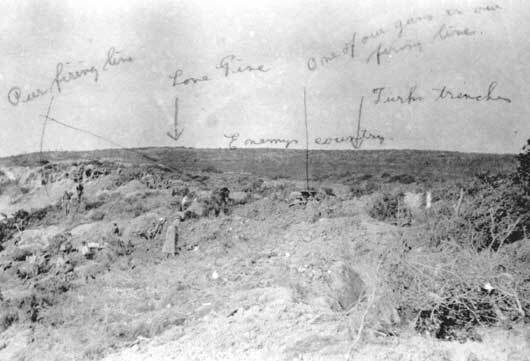 A marked photograph showing the location of Lone Pine and Turkish trenches at Gallipoli (AWM P00117.010). 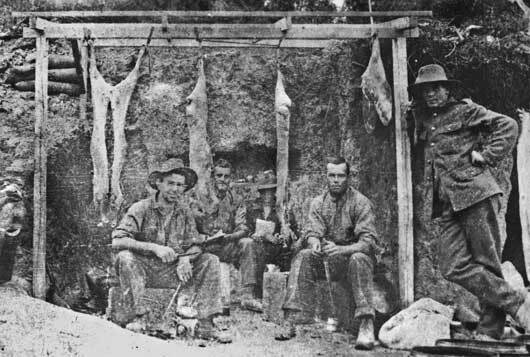 An informal group of five cooks at the 5th Light Horse Brigade's B Squadron cookhouse (AWM P02023.005).